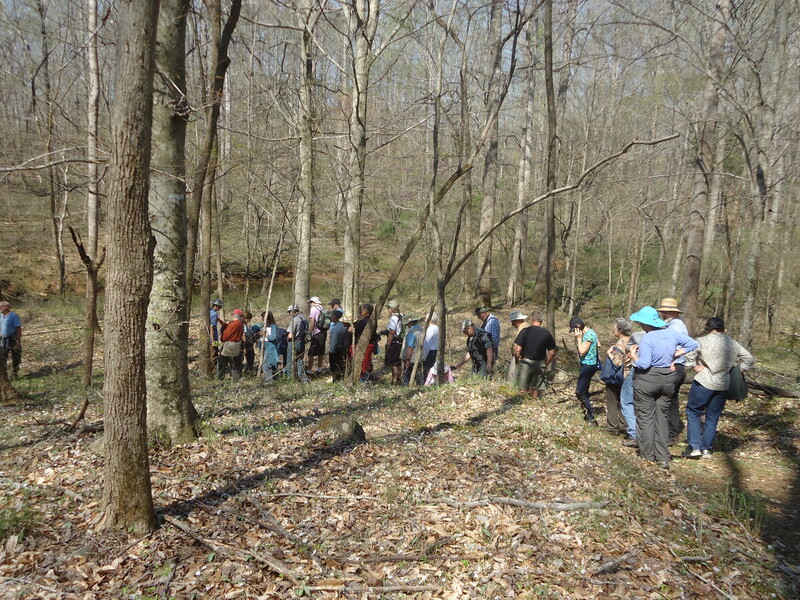 Join us on Saturday April 15th, for a hike in the woods surrounding Moorefields, to see the traces of roadbeds from times gone by. Our leader will be Tom Magnuson, of the Trading Path Association. The TPA is a non-profit located in Hillsborough. Its purpose is to find, map, and protect landscape remnants of the contact and colonial era in southeastern North America, on England’s first American frontier.